Office Space - Cudworth, South Yorkshire. 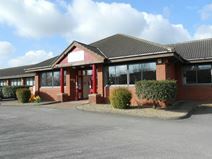 Just off the A628 and only 3.5 miles from the centre of Barnsley this centre provider has almost 30 years of experience in providing businesses with flexible workspace. A choice of 34 modern offices are available from 90 to 500 sq. ft., and can be easily adapted to suit your requirements.